If you are looking for car sales in Burlington, then you should look no further then Budds’ BMW Oakville. Budds’ BMW Oakville is located on the South Service Road, which is easily accessible from Bronte Road right off the QEW, so Burlington residents do not have to travel very far for car sales in Burlington. It doesn’t matter if you are looking for an SUV, sedan, coupe, luxury car, hybrid car, or performance car, Budds’ BMW Oakville has got the selection of high quality vehicles that you want. Budds’ BMW Oakville prides itself on being able to provide our customers with the best quality car sales in Burlington, and the best quality customer service to go along with those cars. Our representatives are here to assist you with your car purchasing process, and answer any of your questions about any of our BMW vehicles. From the moment you step foot into our dealership, you are treated like a part of our family. Budds’ BMW Oakville is proud to service a large quantity of residents in the Oakville and surrounding areas, and our car sales in Burlington rely on our customers having a great experience with our dealership. Come into Budds’ BMW Oakville today of you are looking for premium quality car sales in Burlington. 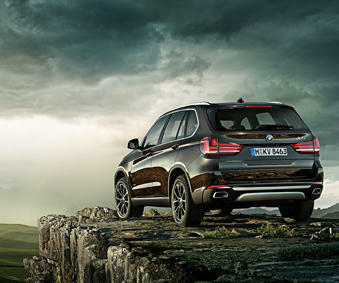 Our inventory of quality new vehicles at Budds’ BMW Oakville is massive, and if you are looking for car sales in Burlington, we recommend that you come into our dealership and check out our inventory. 2017 BMW 340i xDrive: $77,004, Sedan, 3.0L 6 cylinder engine, Automatic Transmission, Available at our Budds’ BMW Oakville dealership. 2017 BMW 440i xDrive: $87,464, Convertible, 3.0L 6 cylinder engine, Automatic Transmission, Available at our Budds’ BMW Oakville dealership. 2017 BMW 650 Gran Coupe: $118,321, Convertible, 4.4L 8 cylinder engine, Automatic Transmission, Available at our Budds’ BMW Oakville dealership. 2017 BMW 430i xDrive: $61,069, Coupe, 2.0L 4 cylinder engine, Automatic Transmission, Available at our Budds’ BMW Oakville dealership. 2017 BMW X1 xDrive28i: $53,149, SUV, 2.0L 4 cylinder engine, Automatic Transmission, Available at our Budds’ BMW Oakville dealership. 2017 BMW 750i xDrive: $133,669, Sedan, 4.4L 8 cylinder engine, Automatic Transmission, Available at our Budds’ BMW Oakville dealership. Come into Budds’ BMW Oakville today to check out these car sales in Burlington, and many more! For more information about car sales in Burlington, please feel free to continue browsing through our Budds’ BMW Oakville website, or you can contact us via phone or email for further inquiries.